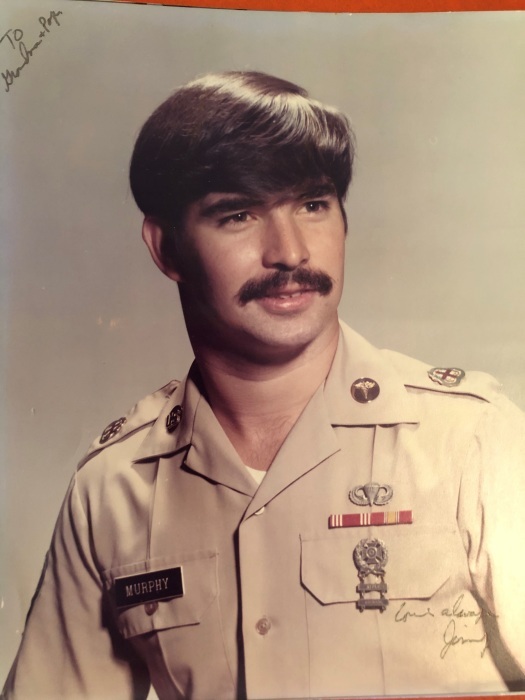 Mr. James Patrick Murphy, Jr.
Mass service for Mr. James Patrick Murphy, Jr., 66, of Opelika, Alabama is Saturday, March 30, 2019, at 1:00pm at Jeffcoat-Trant Funeral Home. Bruce Krause is officiating. Visitation is Friday, March 29, 2019, from 6:00pm until 8:00pm at Jeffcoat-Trant Funeral Home. Mr. Murphy, who died Wednesday, March 27, 2019, at EAMC, was born February 2, 1953, in Flushing, New York. Mr. Murphy was a Fireman, Policeman, Paramedic and EMT in Lee County, Alabama. He helped start the Lee County Ambulance Service and was a registered nurse at EAMC for eleven years. He was an Army Veteran with the Special Forces in Vietnam, MAST unit, Helicopter Medical Rescue Unit. He was a member of St. Mary’s Catholic Church. He is survived by his wife Kimberly Klepper Murphy of Opelika, Alabama; children: Mandi (Tiff) Murphy, Kelly Walls, Erica (Matt) Leach, Katie (Clay) Dawson, and their mother Nancy Phipps Murphy; and Madison (Trent) Hamil and James Patrick (Anah) Murphy III; sisters: Pat Murphy (Fred Pedro), Kathy (Danny) Kirwin, Coleen (Joe) Lahera, Margie (Greg) Murphy-Harlin, Christine Dale (Charlie), Erin Murphy, Cherokee Cingoranelli; grandchildren: Hannah (13), Ava (8), Henry (5), Sadie (2), Eleanor (2), Colin (1), Olivia (2 months); and his mother and father-in-law: Al and Bettie Klepper. He is preceded in death by his parents Ellen (Betty) Guckian and James P. Murphy, Sr. and two grandsons Carson and Logan.